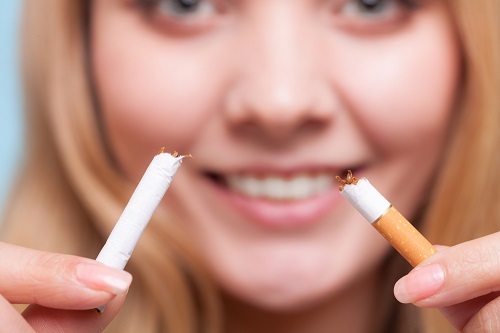 What are you missing to have successful smoking cessation programs? Research shows that it’s much easier to meet goals, especially ones that take a lot of discipline, when you’ve informed your loved ones of your plans. This builds a level of accountability, especially when you can ask them to encourage you in your moments of temptation. Many times in our daily lives there are little triggers that influence us to repeat the same behaviors over and over again, and that’s just as true for addictions. You need to identify what those triggers are and eliminate them from your environment as much as humanly possible. If there are certain friends with whom you associated smoking, that means that you will likely have to take stock of which is more important to you. If smoking is it, you’ll likely have to ditch the friends to succeed. Before you start your smoking cessation programs, you should devise a list of every reason why you need to quit smoking. Do research if that helps. (Did you know that smokers are 70% more likely to be at risk for heart attacks? There’s your first reason). Then, place the list in a place where you will see it everyday. It will keep you motivated! It’s hard to continue without a cigarette when you’ve been experiencing withdrawal symptoms and don’t know when they will end. You should review a smoking cessation timeline to understand when certain urges will hit the hardest, and how to avoid giving in to them. You’ve got to start! Decide on your quit date now, and set up the support structures you need so that it’s the last time you have to do it. Then, never look back! Wellworks For You offers 6-week corporate wellness smoking cessation programs to businesses seeking to support employees in an effort that may be the most life-changing health choice they can make. Call us today to learn more at 800.425.4657.